Monday became Housing day and we headed off to Dornoch to see some affordable housing to be opened by housing minister Margaret Burgess. Turned out that when we were there we decided to make for Helmsdale for another gathering, this time the Community did their own house building. Wander round the house and a chat with the tenant’s son. Short family history and how grateful he was to get the house. £350p/a fuel bill and cost around £100,000 to build. A bit more realistic to have a warm and dry roof over your head. On up the road to Helmsdale, only a few miles away and coming so far it was a shame not to see what they were up to. Their “local consultation survey” was very similar to ours and had affordable housing at the top of the list. The key word in the sentence is affordable. And as usual the hoops they had to jump through were enormous but that seems to be the way. They were so proud of their achievement in Helmsdale, lots of kids and smiley faces. They have arrested their declining school role and it is now increasing. Classic case of community empowerment. Lots of chat about renewable storage and filling stations. and there was a sad but nice story. His wife had broken her hip and triggered an onset of dementia which meant she was now in a home in Dornoch. He had been living on his son’s croft but now with the house he could visit his wife at the care home. Worth building a house for alone. both Alison and I had political chats about housing or the lack of it and got to chat with Rob briefly about MoD. Also have Rhoda, MSP, on the case and slightly disturbed at the reply from the ministry she received. They claim they are reopening the Rona Range. Tricky one as it has never been closed. PR I suspect when they go ahead with their closure. It was a beautiful day on the east and the architecture is so different from back home. Went to see the Lateral North exhibition in Timespan with a lovely picture of Tom and Lesley and another of the Applecross kids prominent on the wall. They have such a strong historical link to the land and having it ripped off them. Cannot help but feel the Duke’s statue looking over the whole area. Back late afternoon and after tea went down to Toscaig to view the renovated byre. Derek has done a fine job in a major rescue. Although in theory it has been passed down with the croft that my Seanair worked, I have had little use for it after it being a bait shed and then the roof came off in one of the winter gales. Now a fine basket weaving shed. found while the renovation to place. Hit a little wall today when I decided “No”. Just a little too tired to head out to sea and the weather was not very inviting. First things first and it was back to bed for an hour, solid sleep so obviously needed. 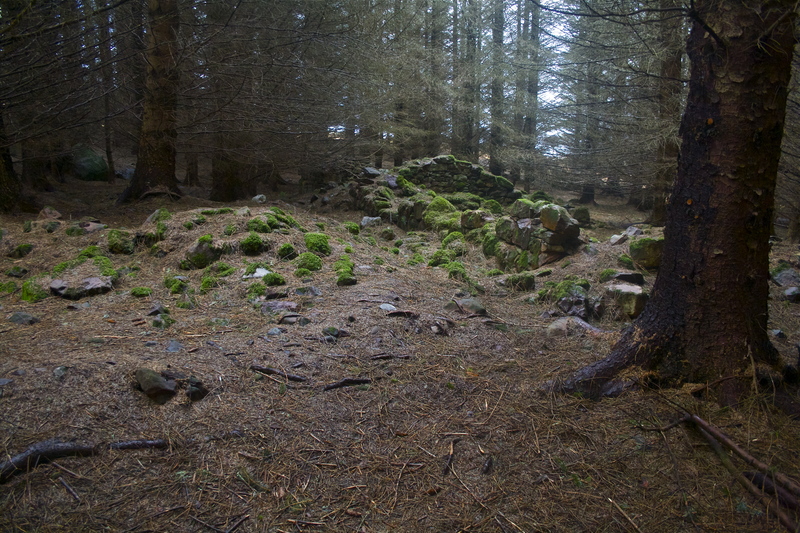 Then it was off up to Carnoch Wood with Dougal and Co and a pleasant wee walk through an atmospheric old wood. Unfortunately on the way back down the road Eilidh decided she would have “a go” at a tourist’s dog, very embarrassing and unpleasant for the tourist, but I know it looks far worse than it is as she never makes contact. Dougal, never one to miss out on anything, comes bounding along to join in. All over in seconds but me with scratches and twisted ankle from hauling Eilidh away. 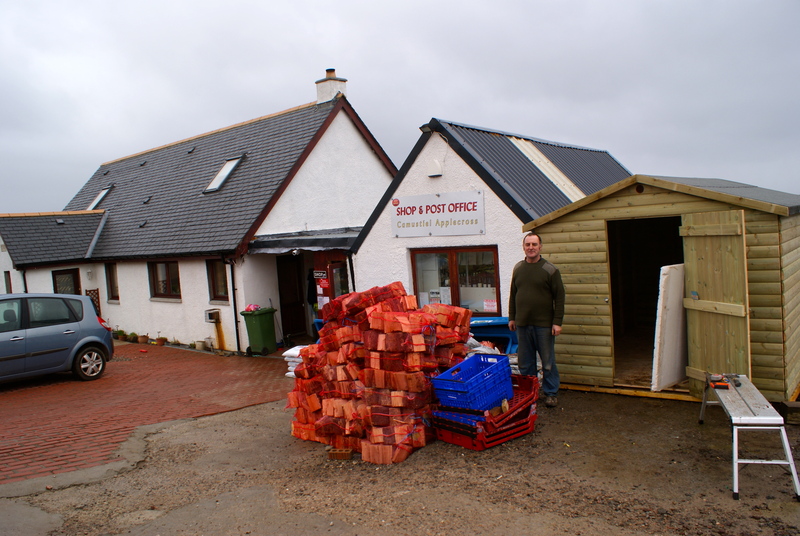 Back down the road to pick up some prawns for The Loch Ness Inn and while I was boxing them up at the Inn I was informed the Filling Station was down. A reboot and a really good chat about community work and sustainable fishing during my wetstock dip and getting it going again. Although it is the last reason why you do community “stuff” it is always feels good to get encouragement from people who really appreciate a service you play a part in providing. The reboot was successful first time and away we went for another snooze but not before having the dogs out for a wee stroll. 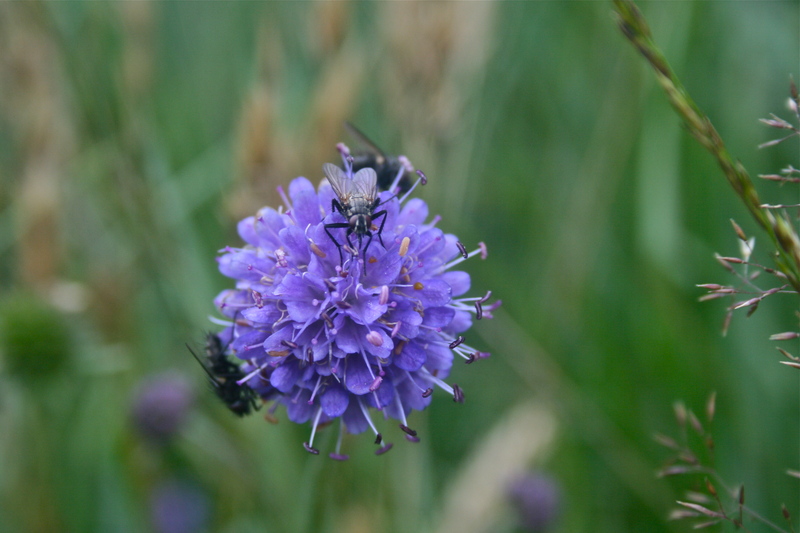 Noticed it’s the devil’s bit scabious that are showing now in huge numbers and also covered in some sort of flies. It is so-called as it’s roots end abruptly as if bitten off by the devil, obvious I suppose.. In the evening got a phone call saying there were a couple of ladies in distress with their camper van teetering over a bank at Toscaig pier. By the time I arrived all was under control as Billy and DJ had the towrope attached and all it needed was a pull on the side pillar to make sure it did not cope as it was pulled off the bank. No idea how they managed to get the van where they did and thought it a wee bit insensitive to take a photo. But result was two very happy and relieved ladies. Never stuck in Applecross, although that may not be a bad thing!! Having said that Mark, Around Britain, does seem to be still stuck here although his Scooter is mended but still needs to make its way back. 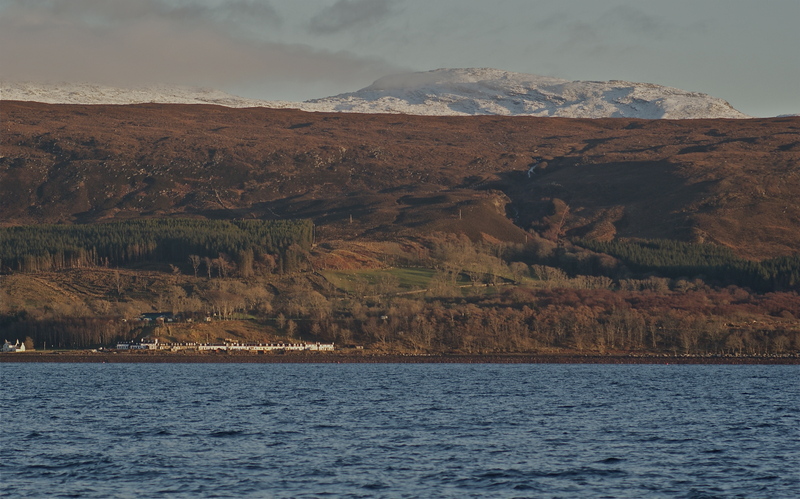 As always, these days housing is an issue in rural parts and Applecross is no different. Being in Toscaig always reminds me of how I am now here. The crofters at the turn of last century gave a croft to Finlay Macleod, my grandfather, for him to establish himself and raise a family in the hamlet. Times have changed but generosity of spirit and possessions do not. They are timeless. I really enjoy the fact that his house has been renovated and is lived in now, means that it is still alive as is the house down by the pier, although slightly more controversial. The shore base for the scallop farm had become very underused and I complied with a request for an affordable house site. I always try to do things on trust but sometimes this does not work out. The house was half built and then sold on for lots of dosh. But, for me, that is always going to be Greg’s problem. He was not big spirited enough to pass on the favour he received but decided to cash it in. The house is now lived in for 6 months of the year and is an addition to the housing stock of Applecross and who knows in the future….. 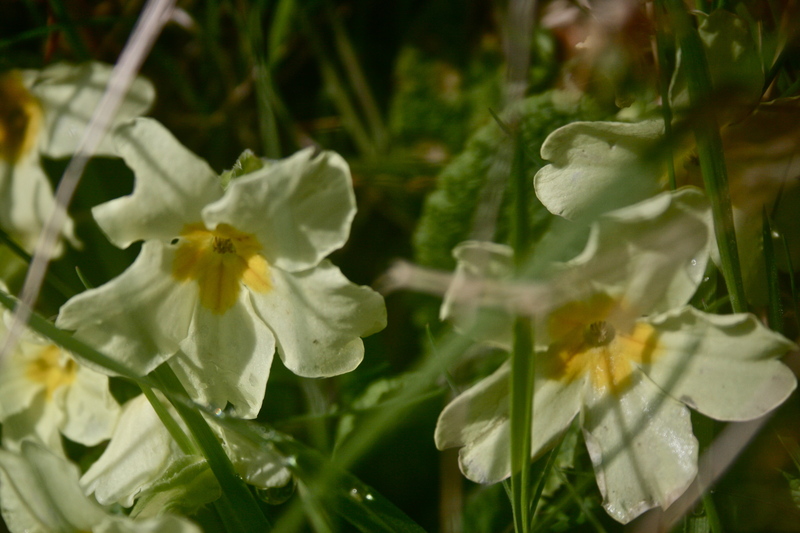 There seems to be a new positive mood going by a report of a meeting held last week in Toscaig where all sorts of possibilities were discussed regarding Doctor’s accommodation and the potential of resuming some grazing land for house sites. This is taking place with the worrying back drop of a continuing decline in the school roll. Splitting my croft to allow some one to establish themselves in the community was the reason the meeting was held but as it is an ongoing situation I do not want to prejudice anything until all is resolved, but good to hear very positive comments about it all. 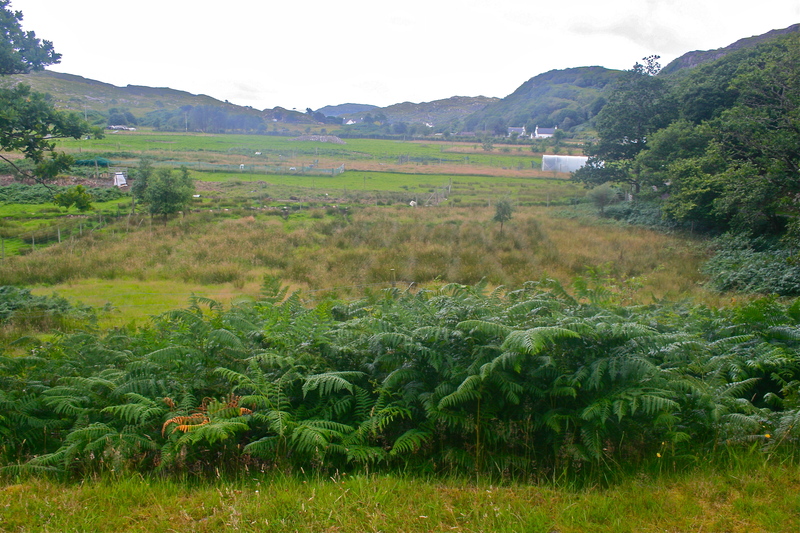 I always think it is slightly crazy that initiatives are taken by people who rent land/crofts on a 70,000 acre Estate while there are 70,000 acres…… This is all taking place with a sort of mad background. Reading an article in the Guardian about “special” mortgages for people wanting to buy second homes for investment. Specifically geared for tax avoidance but with no consideration of what effect this has on the communities they buy in. It is a complicated issue and every case is individual but when the surveys say that once you have more than 20% second home ownership in a community then that community is then struggling to retain its services and the population ages, school rolls decline and the essence of the place struggles to maintain a presence. We are up to 50%. Rather than criticize any one with a second home, there are a hundred different reasons for having one, I find it more fulfilling in trying to alleviate the problem in practical ways. The ethics of the lenders have to be called into question as it is only the bottom line that is their criteria. More and more you see the system skewed towards people who have money enabling them to make more. House prices to local wage ratios will be driven completely out of sight for the local working population, I suppose they are already. I find links every where I look when I think of a problem and tonight I was listening to a speech given by Bill Shankley to his players about how they should feel privileged to play for the club and more importantly the fans, a community based speech. All we hear about from the 70s/80s is how bad the country was run etc but behind it there seems to have been a stronger sense of community and that has been driven down by this cult of the driven, achieving, individual and the sooner it re emerges the stronger our fragile communities will be. Some people who come here to live take their high expectations with them and expect the same instant service they have become used to in their previous lives. When these are not met by “local” services a few get a little too grumpy and you do question why they have come to live here. There is nothing more satisfying than investing in your own community…. that’s enough me thinks I better get back to work tomorrow and think less. Coming down from my Knoydart/Doune high, been told to “stop going on about it”, it has been a case of getting into as much of a routine as one does here. We had taken on a trip out to Uags for the Mountain Bothy Association to transport a load of building materials on the Varuna. 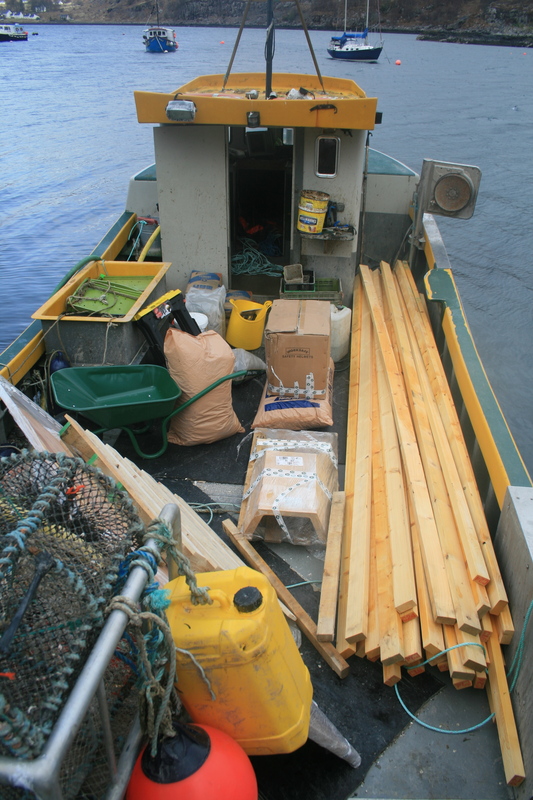 The first bit was very easy and after an hour’s work the boat was loaded up and back on the moorings with the intention of me taking the equipment round in the morning. Sunday morning and I decided to pull out as the weather was not suitable and went off to the Inn where things have generally quitened down with the occasional busy spell. The weather turned out to be not too bad but I had taken the decision and that was really all that was too it. As in Knoydart, when Andy decided that the trip to Airor was not on it was not on. Land people look out to sea and see it differently, on shore winds, half hour calm periods in between squalls are seen as reasons for going/not going. On Monday and Tuesday mornings the decision not to go was taken again and were ready for a weather window yesterday early doors. And so it was, turning up at the pier at the back of six, the Varuna in at the pier, and loading up enough food for a battalion, we were off south. Loaded to the scuppers and towing a “mussel farm” dingy we did a slow 6 knots. The weather stayed reasonably calm and we embarked on a rapid transfer of 4×2 lengths of timber, 8×4 sheets of ply, fire places, cement, glass,sand, tools, wheel barrow and last but not least, the food. This was all done on my wee 10 ft Orkney longliner with a constant eye to the west. While I had no problem with the operation the stress levels were way up and my constant thought was ” I must learn to say NO’. But I did leave a bunch of volunteers happy with their lot and ready to get stuck into what looked like a major renovation of the Uags Bothy. No photos of the unloading due to health and safety regulations although I think I was being filmed by Steve from the Varuna as I headed ashore with load after load. Wonder if you could go out there when it was done and squat in it. Be a nice place to live!! It did turn out to be a weather window and the squally westerly window increased again but not before I got home. Up to and past the farm with Dougal and Co as Alison is away at the CBS conference with Sean and George. Working tonight so have to tire them out a little. Eilidh ended up well exercised as she decided to run with the deer. Not often, but she sneaks of before you notice and is on the hill out of sight. Back to the Inn and loaded the other better behaved ones to go back up the Tore Garve path where I meet her trotting down the track with not a care in the world. We were walking through the Carnoch plantation when she took off. 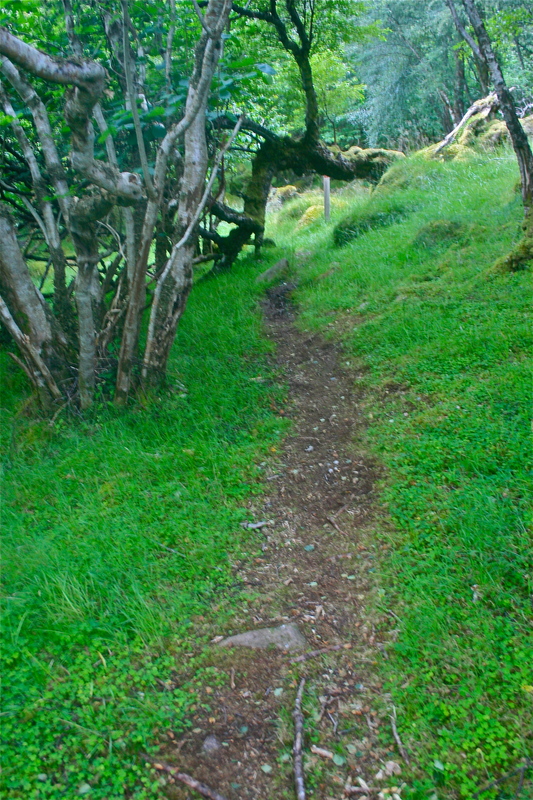 I find this place very moody and dark but in between squalls, patches of sunlight lite up the path. You come across a cleared settlement in the middle of the wood and it feels quite eerie to me. 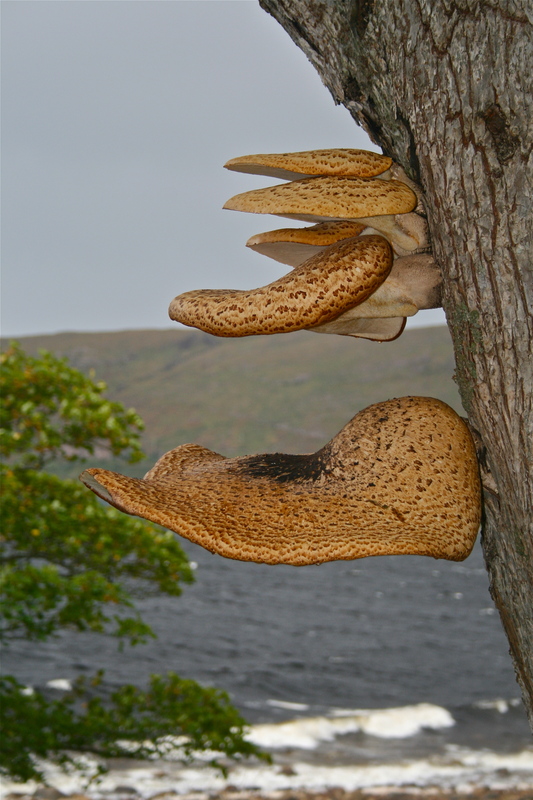 I have this feeling when visiting places like Hallaig on Raasay and you connect in some ways to the pre Clearance times when the indigenous population was shoved off the better land. 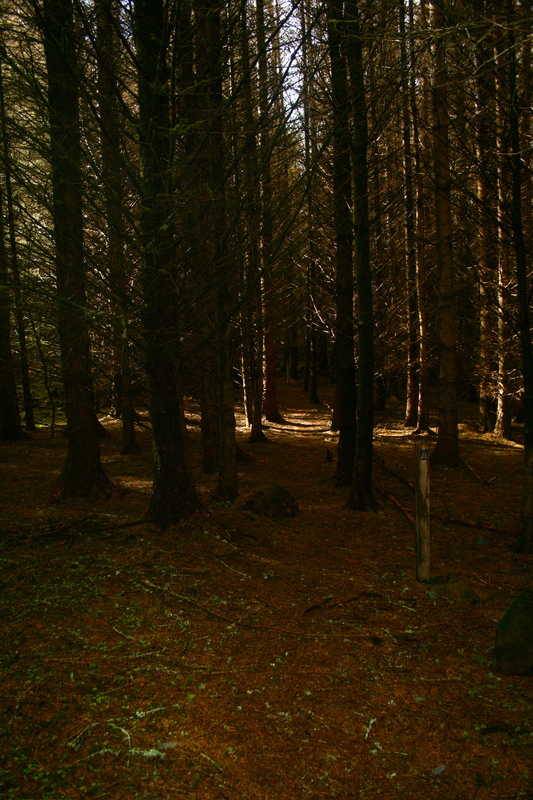 Now there is a Sitka spruce forest where people used to live….maybe there will be affordable housing there when it is all felled and people will be living and working again where they used to. With Eilidh back in tow, and in better frame of mind looking around you were able to appreciate the spring blooms. Before work and in between the showers it was a catch up in the garden with the Charlottes, Sharp Express, Red Duke of Yorks and some Roosters all in the ground with some fine manure. Then on to setting up some tomato plants in the porch kindly given to me by Torquil at Tore and peas, beans in the toilet roll inners with some beetroot and carrots in the new raised beds topped of with more “fertiliser”. Quieter evening at the Inn and home tired after a long day which started falling out of bed at 5.15am. Came across my first dog that had wheat intolerance and another which had a little tankard and stopped off for a wee sup of beer, responsible drinker though as he only had one. Had another chat with Gordon and Val and chatted about the heritage Centre and gaelic place names going “live’, which will be imminent. Mentioned his uncle, who is a natural sennachie, and who told me the other day about Bob Hardie who ran the Inn around the war years. Seems his previous job was chaffeur to the Bishop of Glasgow….simple a mine of information. So with another day ashore today and it is off out to the garden again although noticeably colder today. Meetings,SEA course and more meetings. Had to hold off from writing this post as I came back from the last SEA two days at Sabhal Mor Ostaig mainly because I was flying so high. Leaving early to get back to Applecross for the Community Company meeting with the Trust at Clachan I took with me the post it notes put up by the rest of the group and was given a sheet of descriptive positive words again written by everyone. I opened it up to read it before going in to the meeting and had to take five minutes out. I find it hard to believe people think so much of who you are and what you do. Certainly carried me through the meeting where things that need to be done are met with reasons why they cannot work. On the positive side Judith is going to meet with Richard to sign our lease for the hydro scheme. Lunch has been arranged and the lease is to be signed. Unfortunately when we got home there is a tale of sick lawyers on the e-mail stream. Why another one cannot do what the sick one is supposed to do…… I cannot get my head round the legal system. The other thing that bothers me is that public money earmarked for Applecross ends up being spent in Edinburgh and Glasgow. If the rest of us worked as they do maybe things would be done by the next generation. So no signing no lunch!! Managed to get a shared vision stated of getting more people to live here. We keep impressing on the Trustees that this community is so fragile. There is no point in getting the garden nice if it ends up with no-one living in the house. 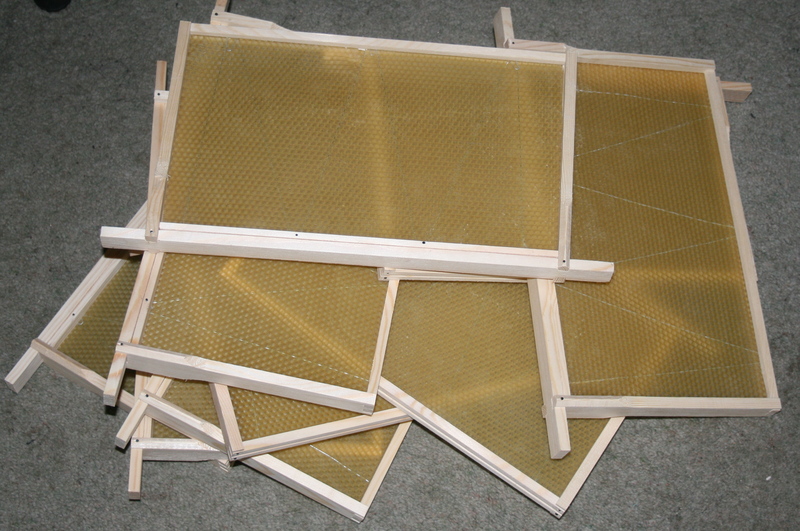 Little bit of progress regarding a local wood supply but that has been going on for years now. There has to be a breakout of the housing problem where crofters say the Estate should release land and the Estate say the crofters……. Anyway have to stay positive and keep soldiering on.Leaving the meeting I am convinced that we are on the right track with our Social Enterprise model. Everything we are doing is costed and will be sustainable once it is set up. The Community Company will eventually be providing work as well as creating an environment where other people can carry out their own work a lot easier. Another one of these win/win situations. It has been a week of meetings which were all fairly positive. Monday listened to woodland presentations of which the sea transport was the most interesting. Had to leave before the carbon credits solution was presented as I was still working on my SEA presentation. Tuesday was Community Council followed by Community Company and then it was off to Sleat on Wednesday morning. Trying not to go over the top regarding the SEA course but I suspect just about every one is disappointed that it is finished. It was a couple of days that were pure motivation. Being in the company of this group of guys has been the highlight of the year and has lead me to do things that I did not think I could do. I think one of the strengths of the course has been that it has given everyone the confidence to come out of their comfort zones and try things that they do not normally do. There has been a huge amount of honesty and trust with people being very revealing about their own lives. Also it has changed almost everyone and encouraged more listening and thinking before action. Left with an amazing buzz but also realised that during the year I have already been carrying out the lessons in real life and having one of the best teachers at the Inn, well life has become awesome as our Aussie girl from Melbourne would say. The difference between “being” and ‘being alive” is huge. One of the most inspiring stories of the two days was Karen Darke, the para olympian silver medalist. The fact that she waited for her team-mate who was in 4th so they could cross the line together for a shared bronze was more important to her than just winning a medal. The photo finish meant her mate won but helping her was more important to her than a “piece of metal”. To a lesser degree of course helping people at the Inn is the ultimate, whether it is getting them sorted for food etc ,helping them get accommodation ,telling them how to get where they are going, breakdown help. It always makes you feel better for it. The other great attribute I have got from the course is a better understanding of patience. This can be irritating for some people around you as they want things to happen immediately, but Applecross, as always, is timeless. So before and after all these meetings and courses a couple of shifts in the Inn meant you were looking after people again and it is such a good thing to do. 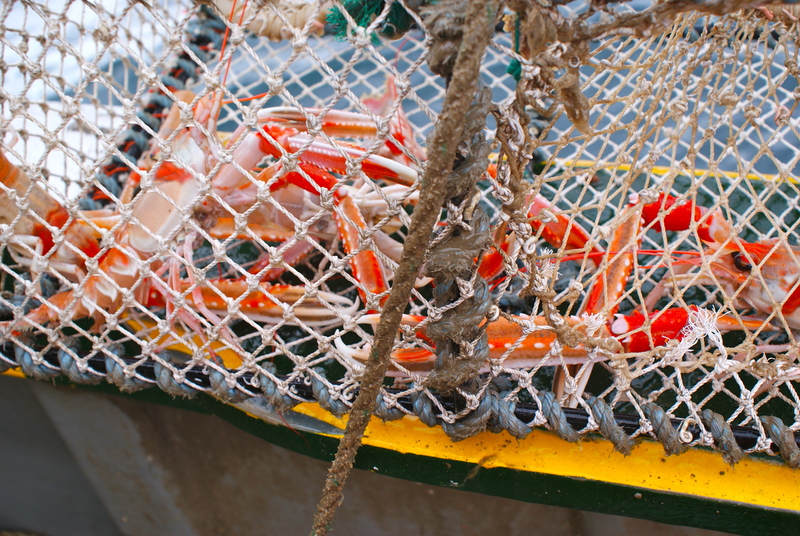 You go out and catch prawns for them, watch them enjoy them and give them a tale of how they are caught. This seems to make it even more real and enjoyable for them. It is good to be back home and looking around autumn is well under way. 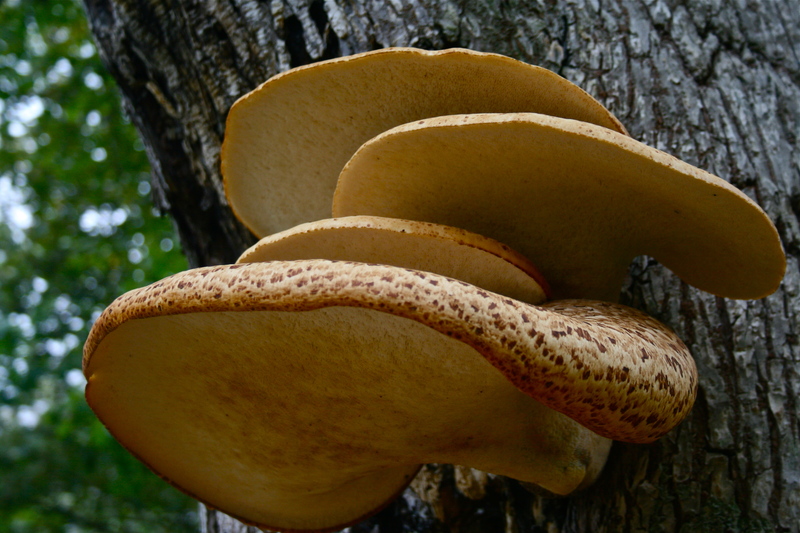 We have had a couple of stormy days but the fungi growing on the tree just the Street side of Milton looks wonderful and has survived the wind. A trip to the shop. At midday I set off to the shop with Dougal and family to pick up the paper and an other excuse not to look at long over due paper work. Lovely weather, getting used to this, and the view across to Ardhu was lovely. Took this from the boat last friday. Met up with Gerry at the bottom of his drive where we discussed the GP situation at a fair length. The problems over accommodation and the hopes and fears of the community about the uncertainty of the situation. Wide ranging conversation which centred on the main problems of the future of the community, the need for young people to come in to the area, the status quo being unsustainable. The back drop is a falling school role and if that continues all the public money that is being attracted to the place at the moment will be worthless if there is not a viable community to welcome and look after visitors and look after itself. Jill, who has a house on the shore just down the road, came along and joined the discussion and the chat veered in the direction of septic tanks and their reconstruction. After a while we set off down the road chatting about various bits and bobs finishing with me giving Jill the latest Olympic results. She has had no communications over the last 36 hours so was delighted to hear about Andy Murray et al. After Jill’s, Ali and Lesley were on the corner and that meant another stop for a chat. After a catch up about Lesley’s improving health the conversation turned to times gone by when no-one locked their doors and people even went into other people’s houses to make themselves a cup of tea! After Ali went off to get something for Dougal and co it was off up the brae to the shop but not before stopping to pass the time of day with Ewen, Ali’s brother.It was another trip into the past when , as always, he asked after my mum. He then tells me what a good nurse she was, doing so much more than her job in looking after his family when his mother died when they were really young. Conversation touched on how we should keep talking about these people and in this way even if they are long gone they still stay with us. I suppose what we were doing was a form of oral history and reliving a little of the past through each others memories. Community, Medical matters and a traveller. Yesterday we met with a group from Minginish at the walled garden. This is a peninsula on the north-west of Skye and they have just established a Community Trust and were over to see us to get an idea of what was going on in Applecross. I joined in for about three hours after walking over the Tor Mor with Dougal and family. There were wide-ranging discussions about the ongoing problems in both areas. There are differences in population sizes but there are so many similarities. Some of the statistics quoted for Skye were quite remarkable in relation to the age demography of the island. There are areas which do appear worse and the Mishinish peninsula does seem to have an ageing population, falling school role and their shop and PO is on the market. Their income generator is the Talisker distillery as ours is the Applecross Inn. I have to say some of the discussions were mildly depressing in that so much of the solutions are out with our scope, land, housing and employment. I am not an advocate of young people staying here although if after a spell it would be great to see some come back. That is where the problems arise, unless they have family/croft connections there chances are very slim in establishing themselves here with house prices at about 10 times the annual wage. Community broadband will be a small step in the right direction as some people can come to live here and bring their own job. Tradesmen of any description can find work immediately and 100 people can live here without any one noticing any negative effect on the balance of the community. The Walled Garden is looking and smelling spectacular and the food was well complimented by the guys from Skye. Photos would have been taken but I had a mini disaster with my camera on saturday with it ending up in the sea. Despite leaving it in the airing cupboard in a box of rice there seems no hope. I have since moved over to a second-hand Canon 400D following a good deal in the local camera market. Although the cash side of things is annoying the waste is the thing that bugs me most but I do seem to buy second-hand technology these days and that makes up for my little excesses. The above picture has ended up on a website that is part of an NHS advert for a new doctor. We are feeling a bit nervous now that Dr Mark has handed in his resignation and is heading off down to the Brecon Beacons. Always when these events take place it brings home the vulnerability of our area. There are very few practices of our small size on the mainland and with the cost implications every where there is always the possibility of budget cutting when there is change of personnel. The advert reads as though anything will be considered and we can only hope that the attractions of Applecross will bring in the right applicants. Of course we are back to accommodation issues if it turns out that we are to have a two salaried doctor option. A 24 hour medical service is a must for the survival of a place like Applecross if it is not merely to become a holiday destination. The weekend was extra ordinarily busy at The Inn, especially on saturday evening. At the end of service at 9 o’clock there were still 26 people waiting to be seated and cheffie was still cooking at 9.45pm. He was not ecstatically happy but the food was as good as ever and that is why there are 26 people waiting to be seated at 9 o’clock. I am enjoying getting to know the regular visitors from around Europe. Previously I only did the Sunday shift and a few emergency ones and as a result I only had a passing acquaintance with many customers. But getting to know Matthais from Germany, Tom and family from Norway and Eric from Austria a bit better has been fun and bearing in mind that I have a son travelling round Europe I hope he is coming across as many pleasant people as the ones that visit Applecross. We get occasional emails from Bonn or Cologne, Paris and now Lyons where he is playing his bagpipes to anyone who will listen. Being a student he is using couch surfing as a means to get around. None of this was available when I hitched across America 30 years ago. I always remember the lift a got from a lady who said I was her first hitch hiker but as her son was hitching down to Florida she decided to pick me up and hoped her son would be well looked after. It would be a different world if we all did things on this level. This is the couch surfing photo advertisment. 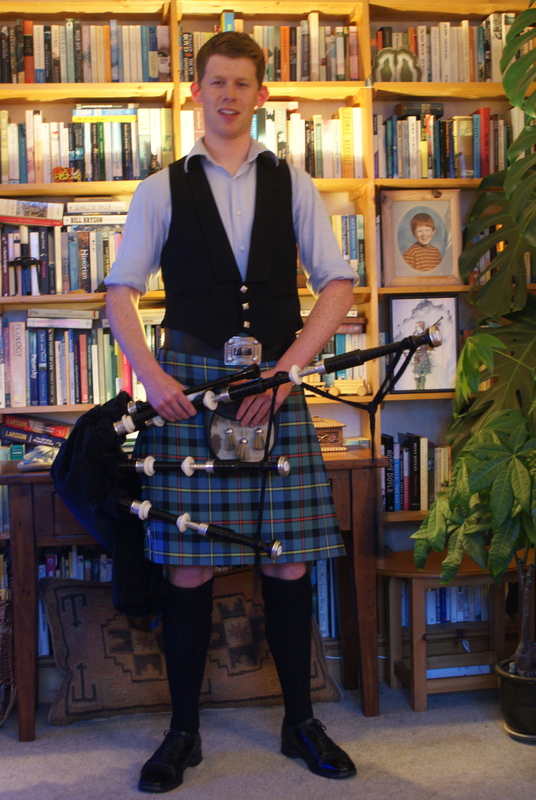 A bagpipe playing doctor in the family, who would have believed it. Good day at sea although the catch was not as good as hoped and it was a difficult end. 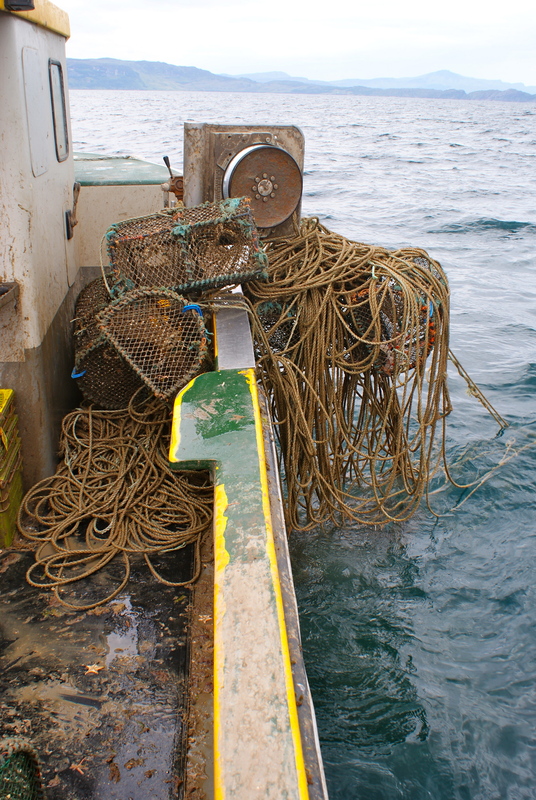 I took the plunge and hauled the fleet of creels that had been towed by the trawler last week. 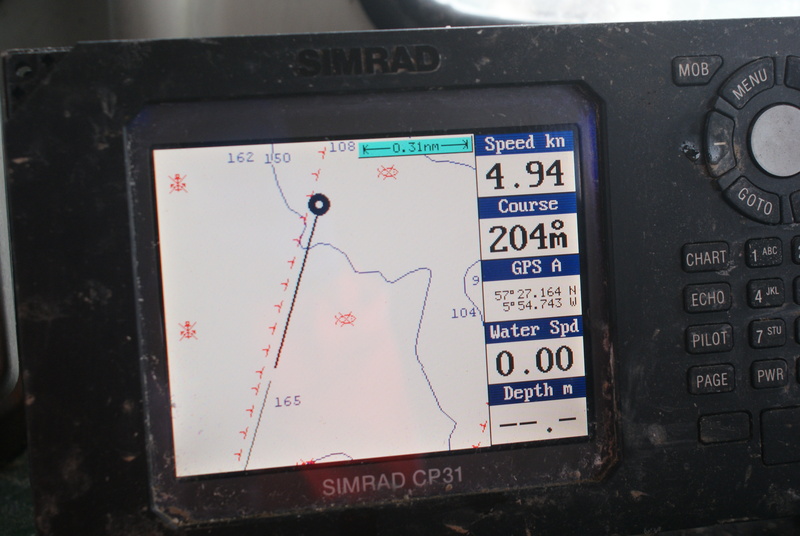 I knew it was trouble when I came across the buoy well out of position on the GPS from when I had shot it. Sure enough when I lifted it I had to sort out a ball of 50 creels. The guy must have towed the fleet until it stopped him. These hours of hard graft sorting out some one else’s careless or malicious mistakes are certainly character building and there is not much point in getting stressed out. We know who towed the gear, we know when he did it but there is nothing I can do to get any recompense. Ashore if these activities took place there would be a court case but at sea we do not seem to have any protection. I have even been told that I should not have creels there by trawlermen and it is my fault that they are towed away. This is on ground my father and grandfather have fished on and is within sight of the school my four boys have gone to. Even if it costs sometimes you just have to stand up for what you believe. I have been thinking quite a bit about the state of the fishing due to the ongoing politics, trawlers towing gear and the general decline of the stocks. Because I have three fleets of creels beside a no-fish zone I am in favour of a series of them being instituted up the west coast, obviously relying on research to work out where in particular they should be situated. These three fleets have consistently fished better than any of my other fleets and I can only surmise that this is because I am beside a no-fish area. It is unfortunate that our only protection is from unintended consequences in that we are protected by a European mobile ban in the lochs on the west coast which is in place to protect juvenile herring. This gives us a six month respite from the prawn trawler. Also the no fish zone is actually a torpedo test range which is closed off to all fishing effort. 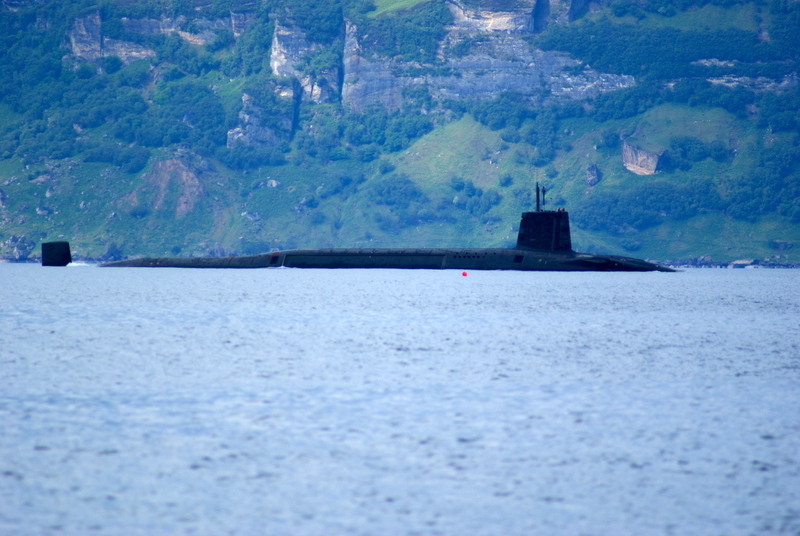 One often sees Trident subs steaming by and you do wonder about the sanity of our ‘leaders’ but that is for another day. The scale of these ships are such that my little fishing boat would be dwarfed by the tail fin of the Vanguard and I always think that they look so sinister. 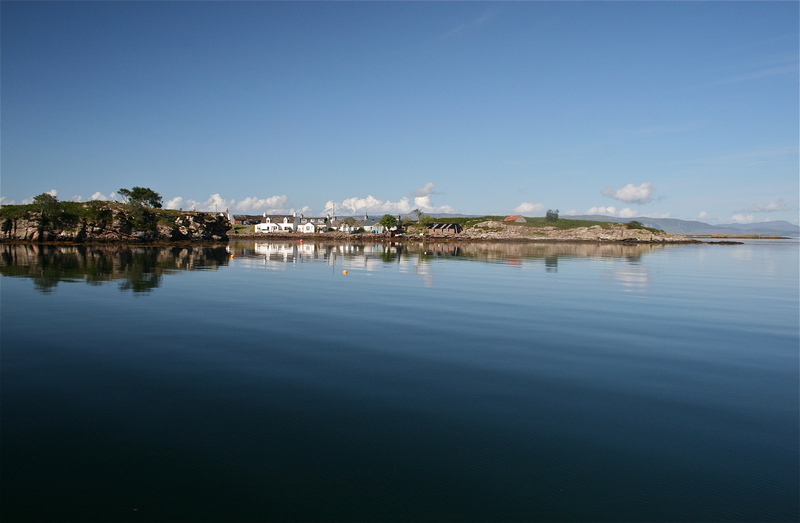 The Range has been in place now since the mid 1970s and although it was met with opposition from local fishermen at the time I am now convinced that as long as it is there I may be able to continue fishing despite the continued pressure on the stocks. We have the Range on our GPS and I shoot the creels back along the outline of the Range. It is a shame that we have to rely on outside factors that defend our stocks. Why do the politicians not look at the science and take measures that protect the little guy who is fishing in the most sustainable way. But we have to change our methods as well to minimise our practices. The problem with most if not all fishermen is that we tend to blame every one else rather than look to ourselves as the cause of the problem. Although I may be very wrong in that way I look at the survival of the fishery I do believe my views are backed by both the science and what is happening on the fishing grounds. Tuesday evening saw us at the Community Hall for a Community Council meeting where it just seemed to be an unremitting battle to try to keep services. Medical,elderly care,bin collection,housing, all critical issues that need to be sorted out for the continued wellbeing of the community. We shall see. Needed a couple of shifts at the Inn to get a better perspective on things. Just meeting people seems to settle things and having a bit of banter and chat with people from all corners of the world is as important as anything. The competition goes on with Brazil, Croatia, Morocco and Cyprus all arriving at the Inn. We are now on 48 countries who have visited the Inn.